When I was asked to compete against Shaquille O'Neal and a slam dunk challenge I thought. That sounds humiliating. But what I learn involved keys I decided to take one for the team. It turns out this was a different kind of slam dunk contest using technology that harnesses the power of brain waves. And I mentioned involves cookies. What you're given in the mutual. He's comfortable and they want me to go head to head with Shaquille O'Neal drove her desert. In a battle that's not about to drive his drinking he's intimidating me grow. But all about the power of our brains he's challenging me to a dunk off an Oreo dunk. So in all seriousness how many or as a means. Hundred members there's a catch no hands allowed these cookies only get dunked if we can do it we don't mind. And they truly using brain waves and a lot of concentration. Shaq is no stranger to dunk but no look shot but until basketball skills. Using my powers of focus to make this shot the guise of being perfect. The course you know. Six try. But on this date were aiming for a different target the Simone says. Looking to see Shaq at New York's Chelsea market. Birthplace of the Oreo to talk about this emerging technology that harnesses mind power I feel like we're on hallowed ground. Hazard dunk ratio here. Global school don't bull. Boom provisional. What started off as a lighthearted exchange quickly turned into a deeper more candid conversation about mental toughness stepped back and talked me a little bit about slam dunking and any kind of technique that involves concentration. We're very real disciplined focused. Newsroom. Business relationships. Children. Most of them who pulled muscles pushing much of contributors. It's not focus his mental fortitude to which he credits his success. Fifteen all star game. Sports championships three finals MVP awards the list goes on and gone. Not to mention fat corporate and dunks he was a hall of Famer in almost every respect. Ickes is horrible free throws. Over his career he barely made half his attempts and a lot of people take shots that you or on your free throw record. Oh shuttled from this. Do you on the removes. Moves in this present no sir I never did I can't say that I know news normal average of country. Most Hulu. Usual over believe in my producers imagine her because you can't play so well Ramon Olivo just prior to us soldiers drew him and then. Mr. you know soon returned precaution. Sort of to be one of those pro bowlers in the world. College drive call it being in the zone but that supreme focus is something elite athletes all seem to share in this master class video tennis legend Serena Williams tries to explain. I get on sentences is 70% and until I'm wind yeah most of my matches probably all my problem. Because of upstairs that anything else. Having ushered out prepare to have an appreciation. And respect for the cerebral part of the game. And Simone Viles perhaps the greatest in a civil time says she goes totally into the zone. I hear the crowd cheering. And listed ten like your body is on auto pilot so sometimes even after ideal Florentine. I'm like today I really to Steve that. 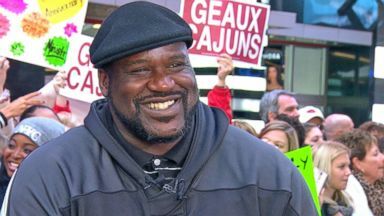 Shaq knows greatness when he sees it he ran into vials that the super bowl of five time medalist standing tall and just four Forney. You assessing me is that some non violence. Shot with you that went viral it was such as great reminder that sign doesn't matter when it comes to excellence. Home government. Move shoot and crews sort of for the protection from concussions that lives along the Pretoria could shoot. Confusion shall remarkable picture rather dual controversy during a period we should just so important focus moves through and ruin. But right now shacks harnessing his mental muscle to sink a different kind of shot. We're introducing her through don't care if you will space age but this is like modern technology it's like modern monitored through fund. So when Shaquille O'Neal is trying to move that. That Oreo. What's actually happening is that devices detecting a change in brain waves and interpreting that as meaning move the Korea. We wanted to know more so we spoke to neurologist doctor Lara mark cues she specializes in epilepsy research at mount Sinai. She says this technology uses something called an EEG to measure the brain's electrical activity. This machine record somebody's actual brain waves in real time. This is happening everywhere and every ilk are beginning to be able to use signal from the EG a TL eight arm more they like what to do. She predicts that much of our world in the future will be controlled by our brain eats regular people. We'll use EG data to communicate with the world. But for now all I'm thinking about is how I'm gonna beach. How can. In the end yes I wasn't thinking hard enough for all women. I have been out done my back. And that's the Whitaker from woods. 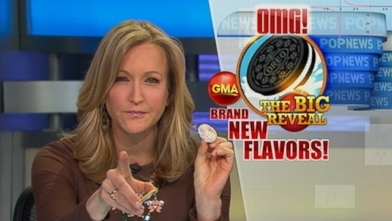 Get ready to dunk cookie dough and marshmallow crispy Oreos. 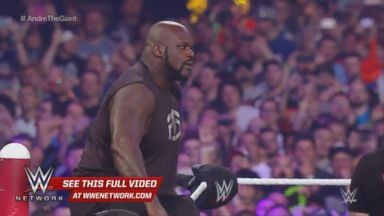 The former NBA star stepped into the ring at WrestleMania on April 3 in Arlington, Texas. The former NBA star discusses his latest achievement of writing his first children's book. 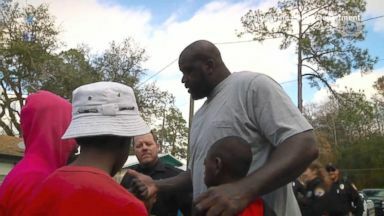 After the Gainesville Police Department's dashcam video went viral, Shaq showed up to surprise the kids. 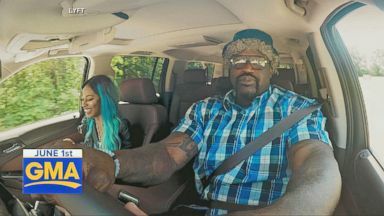 The basketball star joined the fun as the latest undercover driver for the ride-sharing service Lyft.